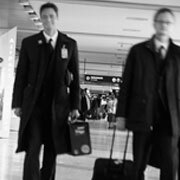 Jeppesen has signed an agreement with Lufthansa to provide its Carmen Crew Management System (CMS). Carmen CMS provides airlines with improved crew scheduling flexibility and an integrated crew management process which lowers operating costs. Jeppesen has signed an agreement with Lufthansa to provide its Carmen Crew Management System (CMS). The project will start during the fall this year. Carmen CMS provides airlines with improved crew scheduling flexibility and an integrated crew management process which lowers operating costs. Carmen CMS covers the administration of all crew data and business rules, and contains modules for optimizing pairings and crew rosters, tools for maintaining optimum rosters, as well as support for detecting and mitigating operational problems. Even though the system consists of standardized modules shared with many other airlines, the architecture still allows a highly customized behavior of the user interface, data interfaces, business rules and optimizers. The architecture also supports a low risk transition from older legacy systems. Lufthansa, one of the leading airlines in the world, has successfully been using Jeppesen’s Carmen Crew Pairing product since the early 1990’s. The airline is currently using the software to solve variable crew problems with over 35,000 flights monthly, making it one of the world’s most challenging planning problems. For additional information call (800) 353-2108. In the Eastern Hemisphere call +49 6102 5070.